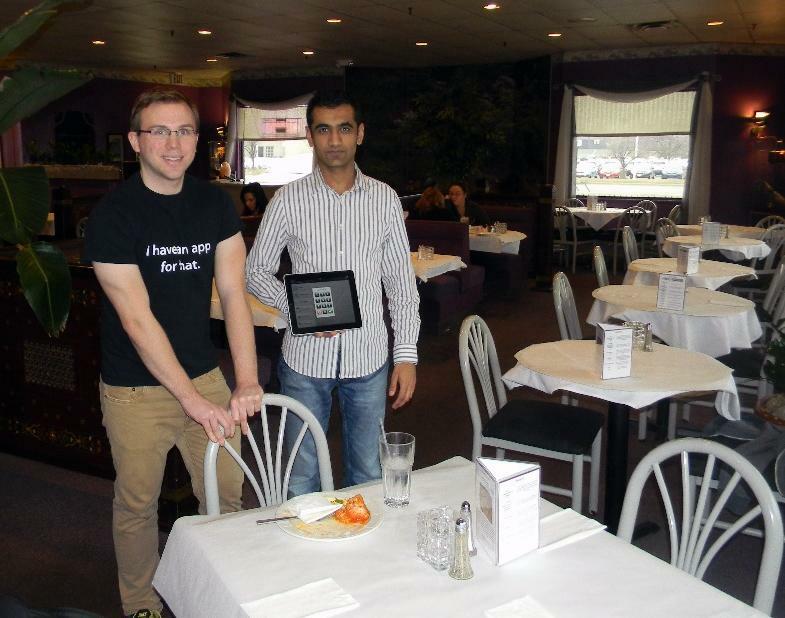 Former waiters James O'Leary and Ansar Khan designed Ambur, an app for restaurants. It's available on the App Store for $999. The days of waiters and waitresses scribbling down orders on scraps of paper may soon be coming to an end. There’s now an app for that. It’s the work of two former servers who ditched waiting tables for entrepreneurship. This story starts a decade ago, when Tahir Khan fled Pakistan with his family and moved to Buffalo. Shortly after, he opened Kabab and Curry. “I am the owner, also the manager, also the server, also the busser, I perform all these activities,” says Khan, laughing. Now it’s a local institution with 65 dishes of authentic Pakistani and Indian food and a devoted clientele. In 2010, he also had a talented wait staff, with several waiters who happened to know a thing or two about writing software. That included James O’Leary, who thought the restaurant’s outdated computer system interrupted the flow of business. “Restaurant computers are a big touch screen, just like an iPad is a big touch screen,” O’Leary says. So O’Leary bought an iPad shortly after the device was released. He teamed up with another waiter, Ansar Khan, the son of owner Tahir, and set out to design an app that would make the day-to-day operation run more efficiently. “In the restaurant environment, seconds are priceless,” O’Leary says. “So any rough edge in the app that was costing our users any sort of time was important to sand down before we actually launched. Within a few months, every Kabab and Curry server was carrying around an iPad or iPod that ran O’Leary and Khan’s software. They named it Ambur, which roughly means “sky” in Urdu. The app opens with a bird’s eye view of a restaurant’s table layout. “[A waiter] will tap on the table they’re serving,” O’Leary explains. “They can go ahead and add some items. Let’s say they wanted a traditional dish that’s very popular here, chicken makhani. O’Leary walks back into the restaurant’s kitchen, where a small box prints out a receipt. O’Leary says the app ultimately makes food come out quicker - which increases table turnover. Servers can also swipe credit cards with the iPad at the table. For a family restaurant serving traditional dishes, Ansar Khan says this new way of doing business has forced an adjustment. “Some people get a little upset thinking that the servers are using their phone while taking the order, so that’s come up,” says Ansar Khan. In the meantime, the two former servers have launched a company around their app known as Refulgent Software. 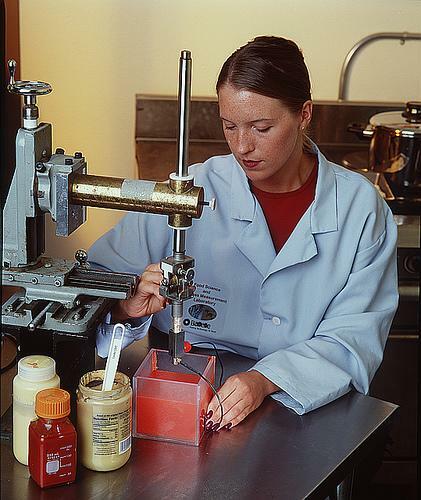 In January, the business was accepted into the University at Buffalo’s business incubator. As former UB students, O’Leary and Khan say running Refulgent out of an office in the incubator lends legitimacy to their business. They’re also able to tap consultants and professional advisers in making decisions about Refulgent’s future. The company has grow steadily in its one year of existence and now employs five people. Ambur is available on the iTunes App Store for $999. Based on how Ambur has worked at Kabab and Curry, Refulgent markets their app as a way to eliminate mistakes and make restaurants more money. “They’re hoping they always get the math correct,” O’Leary says of waiters. “They’re hoping that they remember what the customer ordered. They have to run that ticket back manually to the chef. “There’s a time savings using a computer in a restaurant as opposed to not using one,” O’Leary says. Ambur also remembers each customer. Kabab and Curry uses that list to hone in on their most loyal patrons, which they shower with coupons. Eateries worldwide are noticing. James says more than 140 are now using the app in places as far away as Japan, Australia, Mexico and India. All across the Thruway there are businesses devoted to helping businesses get started. Syracuse has its "Tech Garden" business incubator, Rochester is home to High Tech Rochester, and Buffalo has UB's technology incubator. Each offering gives entrepreneurs coaching and office space, in the hopes of nurturing a profitable venture that spurs job creation and economic growth. So not to be outdone, officials in Potsdam, up in the North Country, are considering a "food incubator."